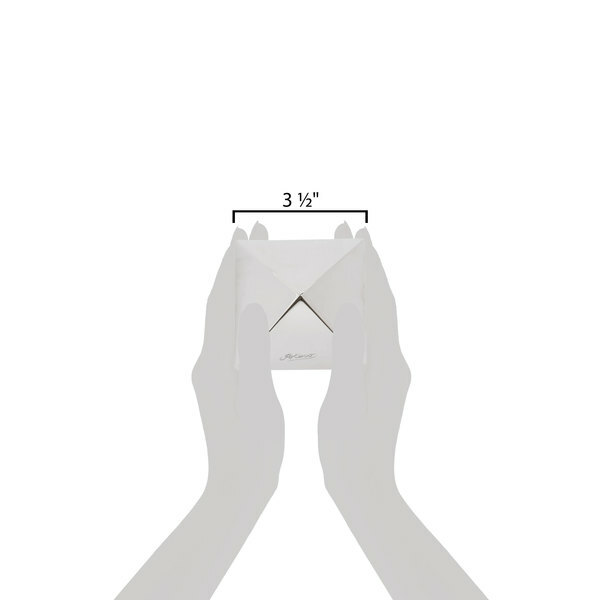 Ensure your meal presentation is always precise and creative with this Ateco 4936 3 1/2" x 2 1/2" stainless steel medium pyramid mold! Made of high-quality stainless steel, this unique item is durable and built to last. This ensures consistency of size and shape, while also cutting down on preparation time when compared to hand-molding. Additionally, it assists with portion control and therefore helps you to prevent waste and save on food costs! The solid shape allows you to make your dish in your prep area and then easily move it to your serving plate without any mess! Perfect for creating side dishes and decadent appetizers, this item is just what you need to streamline your bakery operation. The smooth metal also allows your food creations to easily be removed from the rings when ready to serve. 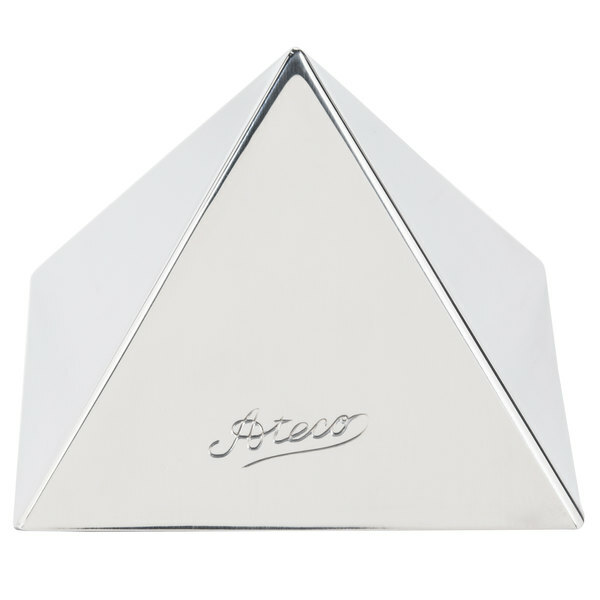 No matter what your needs are, this Ateco 4936 3 1/2" pyramid food mold is sure to be a vital tool in your collection! I purchased this product to enhance my plating tecniques. I can’t wait to showcase my skills with this pyramid mold. It’s very sturdy and i can’t wait how to figure out other ways to use the product . I was very impressed by the build quality of these pyramids. The metal is thick, there is no way for these to get deformed, they seem indestructible. The edges are crisp and sharp. I tried baking chocolate molten lava cakes in them but I don't recommend that, the metal took so long to heat up that they effectively cooked from the top up so the point of the pyramid was uncooked while the base of it was, rather than baking from the edges and having the center be molten. If you need them to stand upright for any reason (filling or baking), I recommend getting the metal taco stands also on this website. Perfect fit. Very fun mold to use and it gives a distinct level of character to whatever plate you are creating. I was worried that the food wouldn't release from the mold, but food releases well from the mold. AS with all Ateco molds, this is a high quality product, easy to clean too! use to shape rice and watch your guests drop their jaws at the presentation! This mold is great, I use it to mold rice when I make curries in large quantities. It gives the meal a nice display. I own all there sizes, I love them! I purchase this mold to shape my cooked rice next to my almond chicken. The presentation was beautiful and dinner guess were impressed. I received my item super fast. This is a very sturdy mold for starters and I was expecting it to be much smaller than it actually is. This makes a beautiful presentation for my homemade mozzarella cheese not to mention custards and jellies. Great price too! 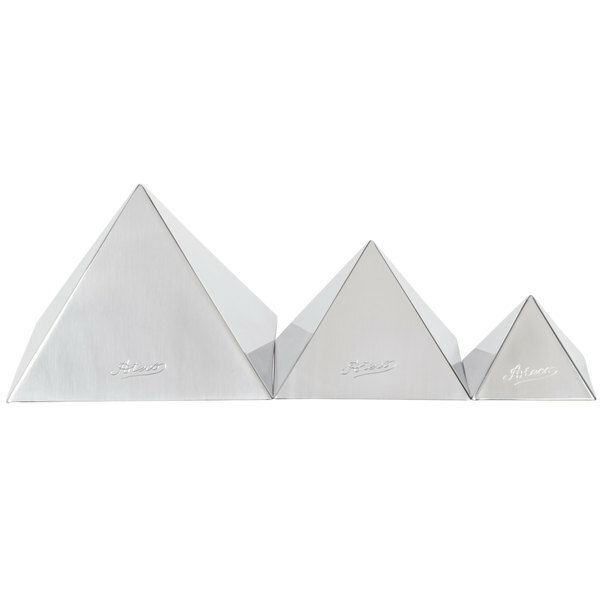 This pyramid mold is very cute and well made. It is great for mousse. Just fill it in the mold and put it in the fridge for however long it needs and then take it out with blow torch. This is such a fun mold to work with!! Great for freezing ice cream in for a unique presentation! Works nicely for layering mousse in too!!! This is an awesome Pyramid mold. Have so much fun baking with this and molding the pyramid shape. Very sturdy and very easy to clean. 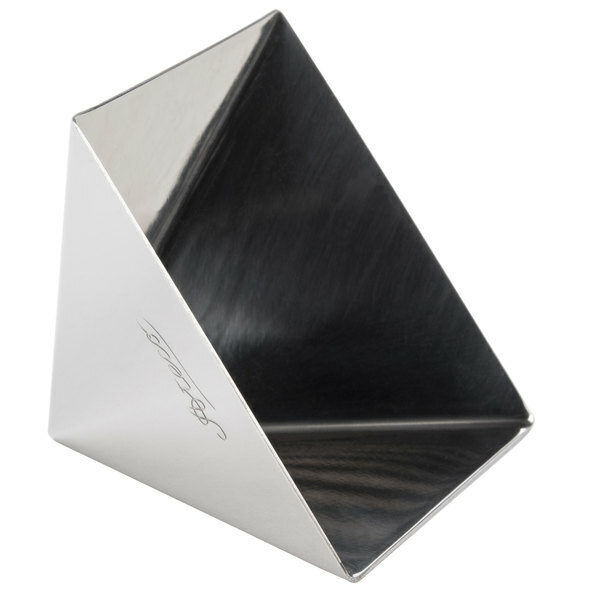 A tiny, shiny metal pyramid to shape your food! We shape our mash potatoes into pyramids and make the peas pray to it. When the peas are insolent, the hot gravy flow punishes them for not believing in the power of the pyramid!